The Prince-Abbot has been appointed as a Senior Chaplain in the rank of Knight Commander of Justice in the Grand Priory of Carpathia of the Order of St Lazarus of Jerusalem. The website of the Grand Priory gives details of its history, organization and charitable activities for the relief of leprosy. 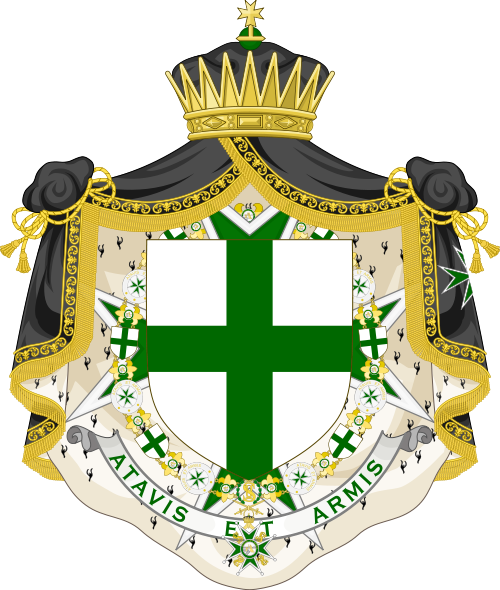 Contact between the Order of St Lazarus and the Abbey-Principality of San Luigi has a long history. 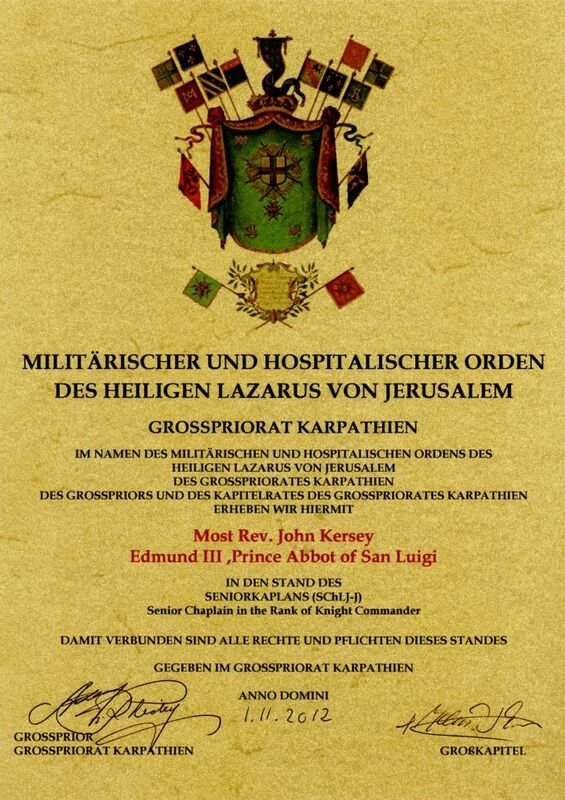 A former Grand Master of the Order of St Lazarus, Comte Charles Otzenberger-Detaille, was among the members of the Order of the Crown of Thorns in the years before the Second World War.